Ali Fazal will be seen playing Sanjay’s son and the film story talks about a father and son relationship. Unlike Sanjay, Ali is also into fitness and has been regular to working out to maintain a good body. 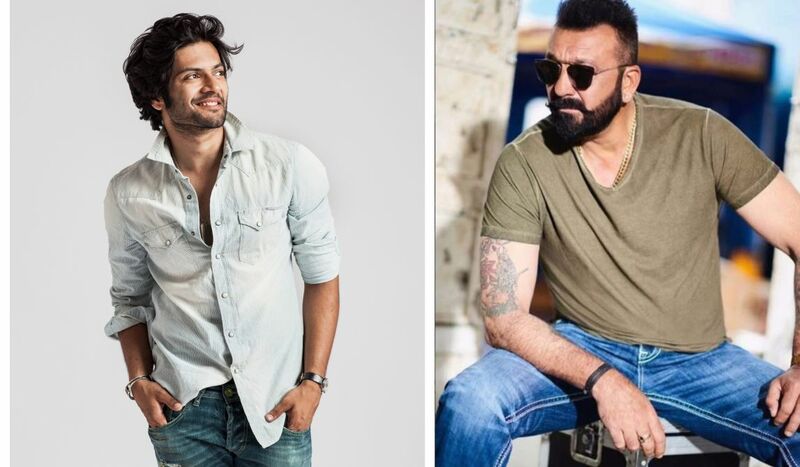 Ali Fazal will be next seen in the Hindi remake of the cult classic Telugu film, Prasthanam, along with Sanjay Dutt. The Victoria and Abdul actor will play Dutt’s son in the remake. It is often said fans draw inspiration from the favourite celebrities and Baba of Bollywood aka Sanjay Dutt has been a fitness freak since the beginning of his early career. It was Sanju aka Sanjay Dutt who started the trend that an actor must have a good physique as their counterparts in the west. Many young actors followed suit for making a well-toned body and few actors even partnered with him in the gym while Sanju was young. Before any actor in Bollywood got into flexing muscles, his muscles were already on celluloid and he genuinely took bodybuilding seriously. Ali who will be seen playing Sanjay’s son and the film story talks about a father and son relationship. Unlike Sanjay, Ali is also into fitness and has been regular to working out to maintain a good body. He has been consistently following Sanju while on sets. Ali even went ahead and took some fitness tips from Sanju. Sanjay has a vast knowledge of bodybuilding and taking tips from him on sets of Prassthanam was an opportunity that Ali could not let go of. Sanjay is making a comeback as a producer with the film Prassthanam. The film is been directed by Deva Katta and the cast includes Sanjay Dutt, Manisha Koirala, Ali Fazal, Amyra Dastur, Satyajeet Dubey amongst others.